It’s that time again – think books. 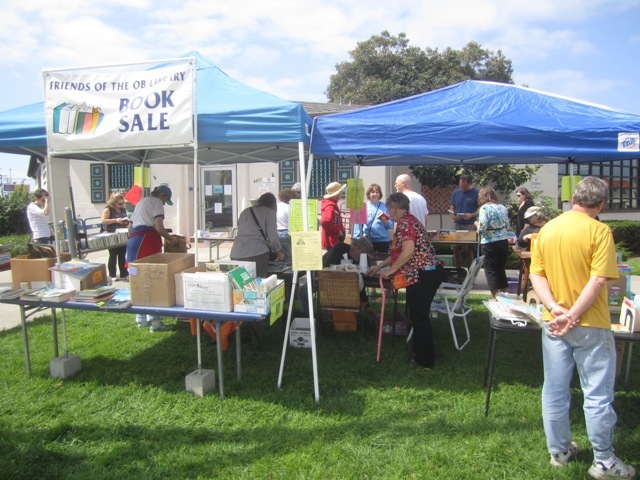 Yup, the Ocean Beach Friends of the Library are having a Book Sale on Saturday, July 18, from 9:30 am to 12:30 pm. They’re also looking for volunteers to help them sort through all their books and materials which they’ll do on Friday, July 17, from 12:30 until 2:30 or so. 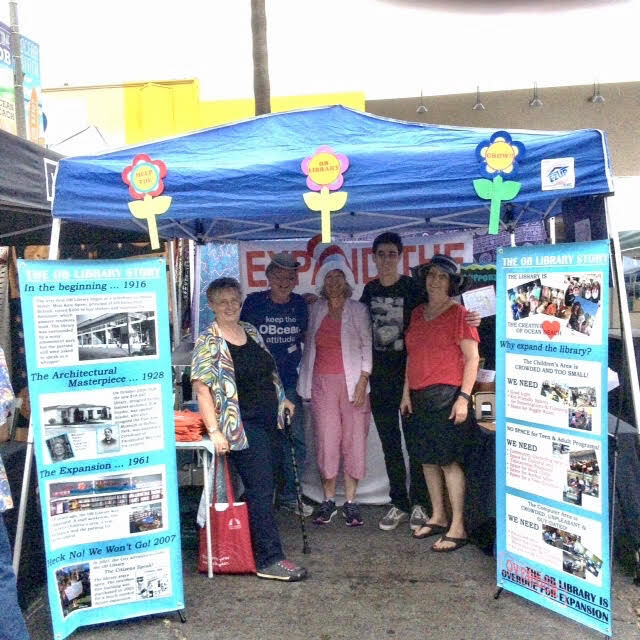 OB Friends and their booth at the OB Street Fair, 2015. If you want to volunteer or donate, approach the library staff, and they’ll point them out to you. They always have a good time, and the money which is raised goes into books, materials, programs, and equipment for the wonderful OB Library. Plus, don’t forget this small, feisty group is spearheading the campaign to improve and expand the library. Did you know that the OB Library is the ONLY library in the city without air conditioning? C’mon out to the sale, check out their books – there’s always good deals – sit in the famous OB Library Bench, and give these folks a hand. Looks like you were totally rained out. Have you set an alternative date?